Hier kommt das Weekly Watched für KW25 (20.06.2016 – 26.06.2016). 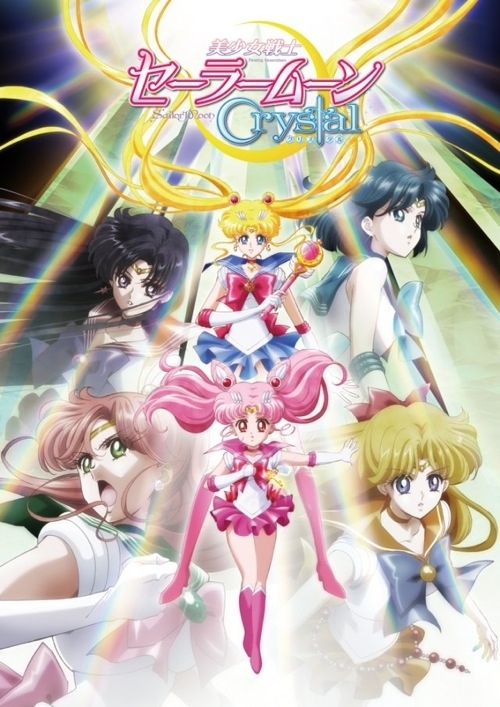 The mysterious girl called Usagi, or Chibiusa, demands the Silver Crystal from Usagi and later incorporates herself into Usagi’s family using hypnotism. Meanwhile, a shady group, who call themselves the Black Moon Clan appear as well. Following the advise of a shadowy figure named Wiseman, they plan to invade Earth and find and kill Chibiusa. Sailor Mars, Mercury, and Jupiter get abducted by Koan, Berthier, and Petz of the Black Moon, respectively, while trying to stop them. Sailor Moon, Venus and Tuxedo Mask are told by Chibiusa that she is from the future and only they can save her home from the Black Moon Clan. Chibiusa uses the Time Key to open the path to the future, where they meet the guardian of the Time Gate and Chibiusa’s friend, Sailor Pluto. When they reach the future known as Crystal Tokyo, they find it in ruins from the Black Moon’s attacks. Bis Folge 19 (ab Staffel 1 gezählt) hatte ich immer auf japanisch mit englischen Untertiteln geguckt, ab Folge 20 hab ich dann auf die englische Synchro gewechselt, weil Untertitel auf Dauer doch ganz schön anstrengend sind und doch etwas ablenken. Leider fand ich die englischen Stimmen nicht so passend – das war mir aber eigentlich schon vorher klar. Hast du die deutsche Synchro angeguckt?